I have spoilt you all with two beauty posts in a row. Do you know what else I've been spoiling? Well, spoiling myself when it comes to pampering. Treating my body with all the love it needs and deserves. As winter draws closer, the colder weather can do terrible things to our skin, so we all need to take a little more time to look after ourselves. Sometimes it may seem like a chore - having to be unclothed for far too long to try and apply a body moisturiser. Those chilly worries tend to disappear when I have beautifully scented products in hand though. So what is this gift guide all about? 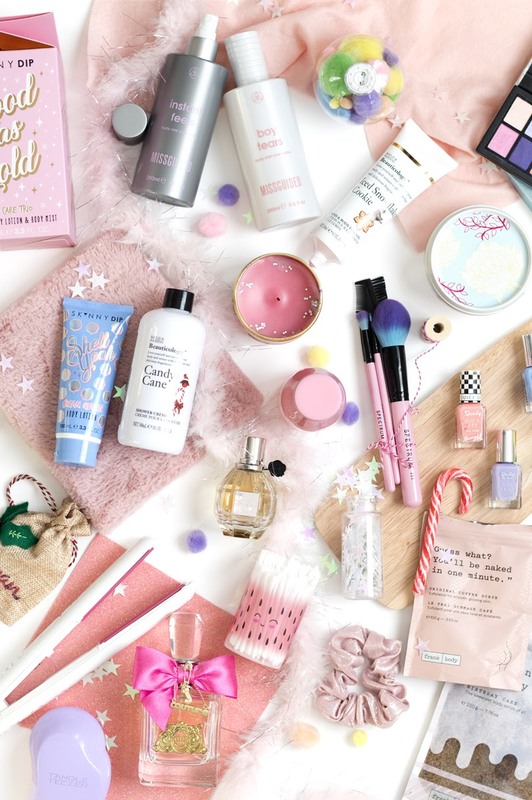 With the constant feed of gift guides over the next few weeks, I thought I'd try something a little different and not only put together a beauty guide but incorporate a little of myself into it with pastel packaged products. Now you should never judge a book by its cover (or products by their packaging), but don't they all just look so beautiful together? Plus I have tried them all, so I know they will be loved by many. Know what scents the recipient likes; sweet, floral, spicy, herbal, relaxing. Know if they prefer showers to baths, or if they like to wear make-up, or are they more of a body spray than a perfume kinda person. Buy them something completely new. It can sometimes be a risk, but there's nothing I love more than discovering new brands. With these steps in mind, you can't go wrong buying the perfect gift, or you may be here trying to get some ideas for yourself - either way, I hope this guide fills you with inspiration. 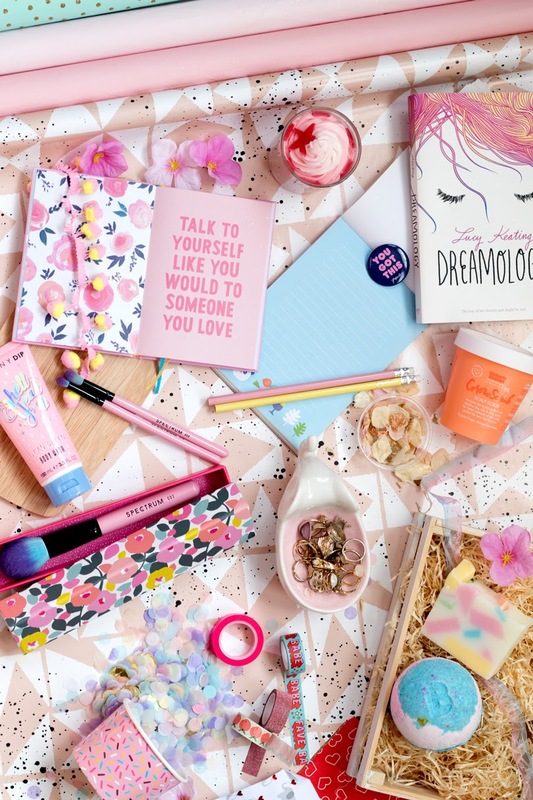 Skinny Dip has passed on their fun and innovative aesthetics onto their gifting range and oh my, I just love it! The Good As Gold body care trio is perfect for those who prefer more time in the shower with a wash, lotion and body mist to carry on that light, sweet raspberry scent throughout the day. If you're looking to buy for someone who loves the bath as much as the shower, then they'll need the I Want It All set. A complete set with a shower wash and polish, bath soaks, body creams, and body mist. 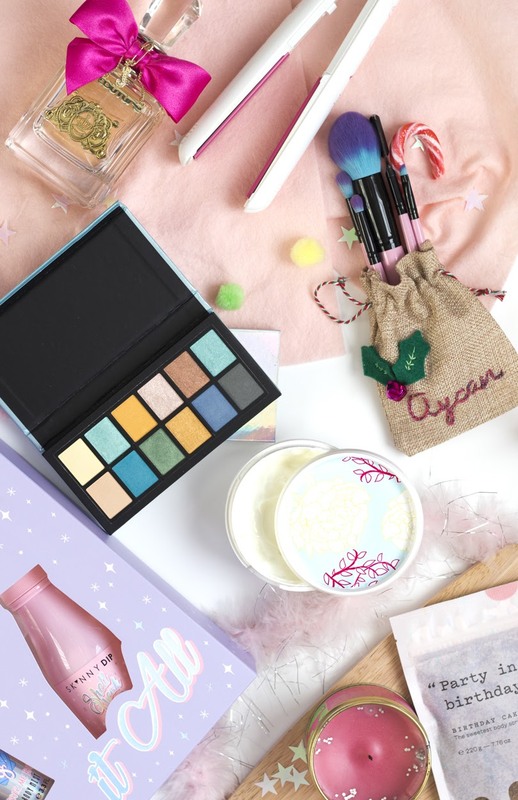 This kit is bringing back all the summer love with the fresh tropical scent.
.@helloaycan is sharing her beauty gift guide, inspired by her love of all things pastel! Another must, for winter skin especially, are scrubs - and what a surprise to see Frank Body here. If you don't know, they're a cruelty-free brand based in Australia who use natural and naturally-derived ingredients in all their products. I am slowly working my way through trying everything; so far I have gotten through their Shimmer Scrub, and the Original Coffee Scrub, (you can read about what I thought right here). Next on my list is the Birthday scrub which is filled with raw sugar and coconut husk. They have been very lovely to us this festive season, and have put together the ultimate gift kits (which are packed in a gift box and reusable bag), each filled with a bundle of products suited for any recipient. The Glow Getter includes a face scrub and mask and original coffee scrub, and The Triplet with three lip products. At the top of my Christmas list is the Out Of Towners kit, because you can never have too many scrubs. I could talk about body care products all day, but I'm going to mention a couple of brands I got introduced to this year. Bilou are one of my new favourite brands, with their Tasty Donut shower cream being a must for anyone who loves to be enclosed in a warm iced donut every time they take a shower with the creamiest and softest shower foam ever. The Baylis & Harding Beauticology Rockin Robin set is an adorable gifting piece featuring a candy cane shower creme, and iced snowflake cookies hand and body lotion. Talking of hand lotions; a must for those whose hands become a little drier in the winter season is the shea bliss hand treatment from Bomb Cosmetics. The sweet-scented lotion (it smells and looks like icing), protects your hands, and you can even feel all the benefits even after a couple of washes. What I love most about fragrances are the memories and stories the scents bring along with it. Now, I would always recommend having at least two fragrances; one for special occasions, and another for very special occasions. The two I hold dearest to my heart is Viva La Juicy by Juicy Couture, perfect for anyone who prefers things on the sweeter side with notes of wild berries and creamy vanilla. Another of my favourites is Flowerbomb by Viktor & Rolf. It's one of those endless scents that would always be in my collection. With top notes of mandarin, bergamot and pink pepper this is a must for any recipient who loves thing a little fruity, but spicy too. Don't forget to look out for the perfume gifting sets which feature a fragrance as well as other body care products. 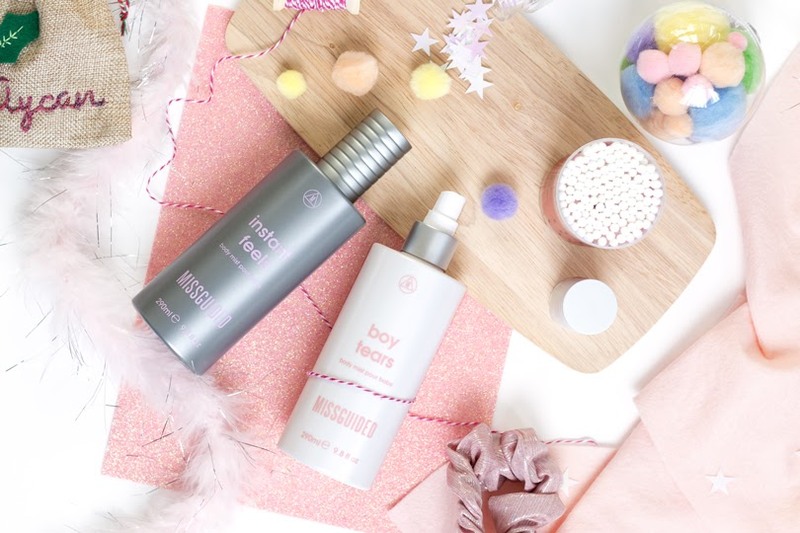 If you're looking for fragrances that can be used frequently throughout the day, check out the body mist range from Missguided. My current favourites are the Boy Tears mist* (no boys were harmed in the making), because not only does it have an absolutely fabulous name, but I love the sweet and citrusy blend of bergamot and raspberry. If your recipient is more of a fruity person, try the Instant Feels body mist,* with raspberry and sweet vanilla. Nevertheless, they are all designed to make you feel strong, confident, and with a whole lot of attitude. Each of their mists are around £10, and with a large bottle (290ml!) they will be lasting a very long time. Pastel make-up, now those are a joy to use! 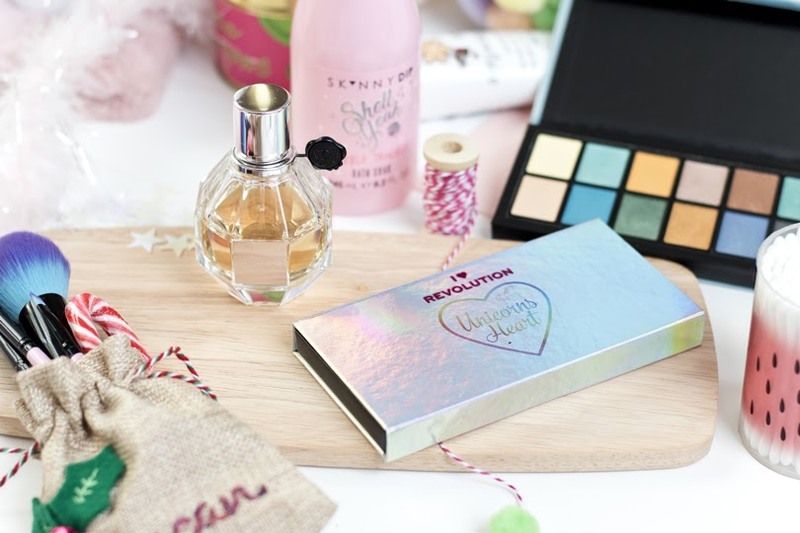 I'm not a huge make-up wearer, but when I do like to experiment a little, I always use the eyeshadow palettes from I Heart Revolution. The Mermaid Heart palette, is a selection of blue, gold, and green shades, and the Unicorn Heart palette, has your pink, blue, and silver shades. With a mix of shimmer, mattes and satin shades, they'd have everything they need to create any look. Now don't forget those make-up brushes. 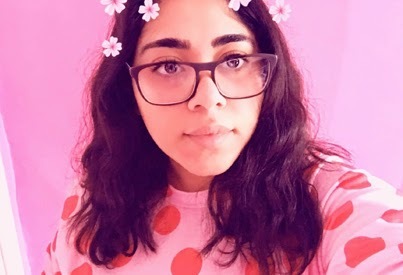 Spectrum has a wide variety of styles inspired by the Mean Girls movie, to Disney princesses (and villains), or you can go for the original millennials pink range, just like mine. They're vegan, cruelty-free and long-lasting. Hair straighteners make a lovely gift and a lifelong one for that matter. I still have the very first pair I bought way back when I was a teenager. GHD's offer a range of different types of straighteners depending on the styling needs. Though my pink and white coloured straighteners are no longer available, they have just released a new range of glacial blue products, which are a striking metallic blue shade. Hair brushes, combs, and other styling products make great gifts too. Just like with the fragrances, look out for special packaged Christmas sets. If you're just looking for something to fill those Christmas stockings, you're spoilt for choice. Many of the beauty ranges come in miniature sizes too which you're able to pop straight into those stockings. Other ideas are lip scrubs, pocket mirrors, nail polishes, hair accessories and a trusted shower cap. How about a candle too, to help them relax at those pamper moments. 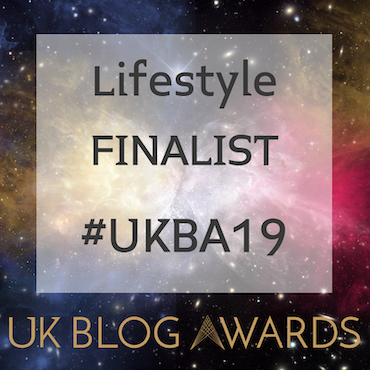 I hope this has given you all the inspiration you will need to either pick the perfect gift, or to send loads of hinting vibes to what you want. Let me know in the comments below any beauty bits you're hoping will be sitting under your tree. This post contains affiliate links. You can read my full disclaimer policy here.